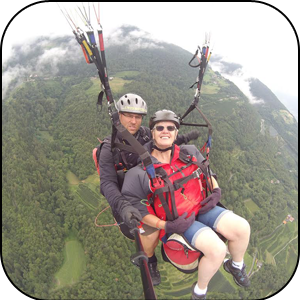 This is our dedicated page to those who have given up their time to help our Charity… you could be featured here too! Whether you want to individually reach some personal goals, help the animals, not only at the park but around the world; or perhaps you know of a group of people or local club that would like to get involved? It doesn’t matter how you help, we just appreciate anything you can do for our charity to maintain it’s success. Don’t forget… any money raised goes straight back into the park to help with updates, new enclosure, rescuing or rehoming animals and birds in need & of course, the food and resources the animals need for a healthy, balanced diet. You really will be able to see where your money is going, in constant updates to the park & the environment we offer our animals. Eileen Miller is a local lady to our village of Friskney and has literally dedicated hours upon hours and walked hundreds of miles, all for the animals residing at Lincolnshire Wildlife Park. In 2017 alone she raised nearly £4,000 cycling miles for our campaign TIGALIVE. This was to raise funds for our enclosure Bengal Gardens and offer these 11 Tigers a natural home full of enrichment; something they would have never received had we not have taken them in. It also helped with research and rehabilitation facilities in Bangladesh, to help get more tigers back into the wild. During 2017 she faced her height fears and Power Glided from the cliffs in Italy to raise money. She has continually provided beautiful photo’s and cards to sell in our gift shop, as well as tombola’s & stalls for our visitors to enjoy. More recently for TIGALIVE, she has been all over the country cycling and walking the miles that she has been sponsored to do! In 2018 she has raised over £5,000 for the park and for Nigel our Puma’s new sensory enclosure. She continually amazes us with her ideas and efforts to help our charity, creating prize draws, raffles and games for the children to get involved with while visiting the park. Not only this but she has walked 547 miles (651 km), which is the equivalent of walking from our park in Lincolnshire to John O’ Groats in far Northern Scotland; all to raise more money for our charity and her love of Tigers. She will be helping to organise fund raising days at the park with lots of activities to get involved with, so keep an eye out on our events page and social media for updates! Harry Ratcliffe – an amazing young boy! Harry (Pictured right) is a wonderful and dedicated young boy who decided that he would raise some much needed funds for our Puma, Nigel. Lincolnshire Wildlife Park are currently trying to construct a new sensory enclosure for Nigel, as he has a congenital eye condition which could eventually render him blind. He is only a young cat, so has a long life ahead of him & we want to make sure he can live a fulfilling one with us at the park. 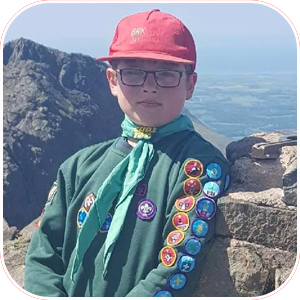 Harry took to Nigel’s story and with the help of sponsors he raised over £500 by climbing Mount Snowden & Scafell Pike, the two tallest mountains in England and Wales. Mount Snowden stands at 3560 feet and Scafell Pike at 3209 feet, so this was a difficult climb but he did amazingly well & showed true dedication to help a beautiful animal in need.